After learning my estimated due date for this new little one, it kind of hit me that there would be a pretty good chance I would be either too pregnant or too wrapped up with a new baby to give my Mom’s birthday much attention this year. A little planning ahead wouldn’t hurt, I thought to myself. 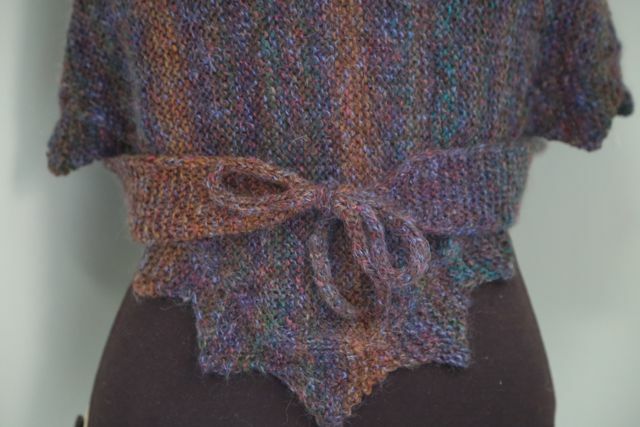 So I resolved to knit her birthday present. I’ll admit up-front, I’m a sucker for just about any Jane Austen merchandise – and Mom did introduce me to Jane. 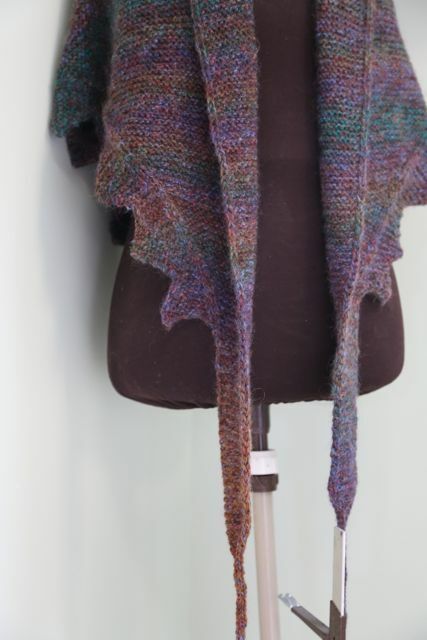 So when I saw this pattern for a “Sensible Shawl,” and noticed one key feature of the pattern, I knew this was the project that would make her feel warm birthday wishes well into the winter. 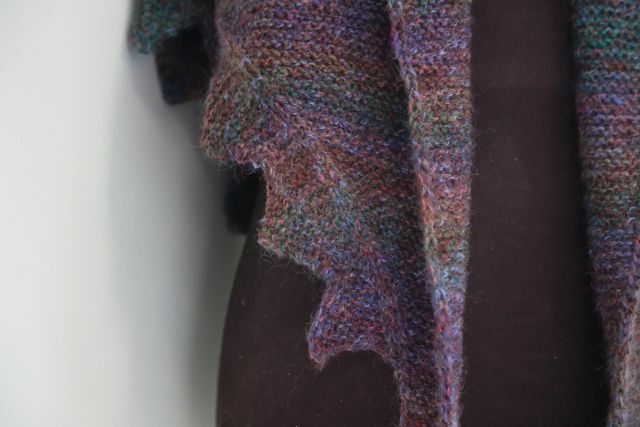 That’s right: the ends of the shawl feature a tab that narrows down to an i-cord so the wearer can essentially “set it and forget it” when donning a shawl. Want a closer look? The yarn, a tweedy Rowan that was on closeout at the local yarn shop, offers the same sort of varied palete you’ll see in a good Fall season. 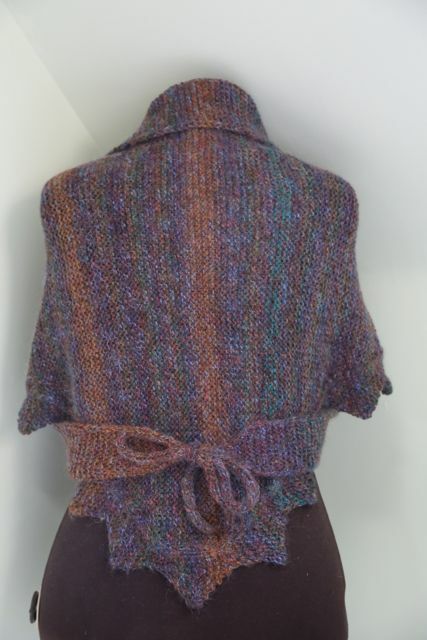 As I was knitting this one, it kind of reminded me of a good view of the Northern Lights, catching streaks of green, blue, rose and gold streaking up the night sky. 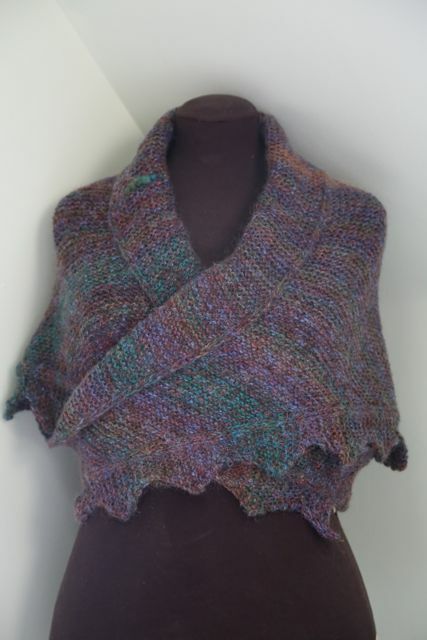 The shawl was finished, blocked, and wrapped for presenting when we were at the doctor’s office scheduling our baby’s arrival date. As luck and our doctor’s surgery day schedule would have it, our baby would share its birthday with its grandmother. My mom was thrilled to have a co-celebrant for her birthday, and insisted that no other present could top it. (A phone call from my sister, telling me to never do that again, confirmed that.) 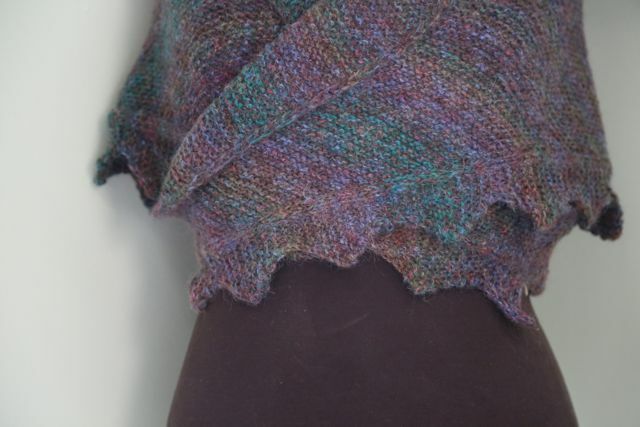 But there was no way I would hold onto that shawl for another year. So, while we planned for only one birthday gift, we ultimately had two.